Shop our Grillin Time Store, for everything you need for great cookouts! Keep looking, You will be! Summer time is GRILLIN TIME! Get mouth watering groumet meats, and sauces for you next cookout right here! During the warm months of summer, keep you home cool, and get outside to door your cooking. The food cooked outdoors always tastes better, and grillin time is fun time. Do some outdoor entertaining with friends and family, or simply enjoy a fun evening outdoors with your family. 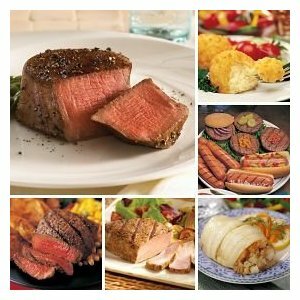 This page is all about grilling, and the products needed to ensure that you have a great time at your next cookout. Our Grillin Time Store is stocked full of grills, meats, BBQ sauces and more, so you can find what you need for you outdoor cooking events. Recommended Reading, to become a Grilling Expert!